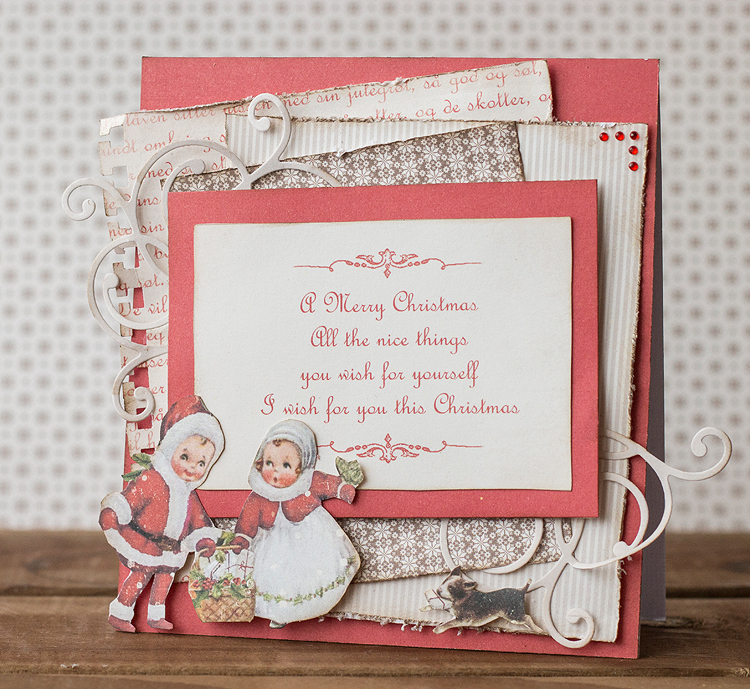 Red is a very difficult color for me to scrap, but I really wanted to use this image with the little kids and the dog, so I decided to give it a try….and here’s the result: a very red card for christmas! I love this card, Teresa! It is a nice gentle red and I love it! I love the Christmas in Norway papers, who wouldn’t love it? I love the fussy cutting of the sweet little children, the distressing, and the die cuts.